This exhaustive textbook is ideal for anyone with an interest in integrative and complementary medicine in Australia; including General Practitioners, medical students, integrative clinicians and health practitioners. A Guide to Evidence-based Integrative and Complementary Medicine presents non-pharmacologic treatments for common medical practice complaints – all supported by current scientific evidence. These include Attention Deficit Hyperactivity Disorder (ADHD), asthma, insomnia, anxiety, depression and many more. This practical health resource profiles myriad approaches in integrative and complementary medicine, such as mind-body medicine, stress management techniques, dietary guidelines, exercise and sleep advice, acupuncture, nutritional medicine, herbal medicine, and advice for managing lifestyle and behavioural factors. It also looks at complementary medicines that may impact the treatment of disease. 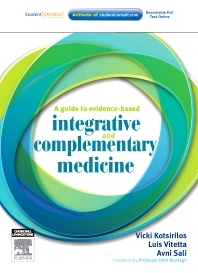 A Guide to Evidence-based Integrative and Complementary Medicine contains only proven therapies from current research, particularly Cochrane reviews, systematic reviews, randomised control trials, published cohort studies and case studies.